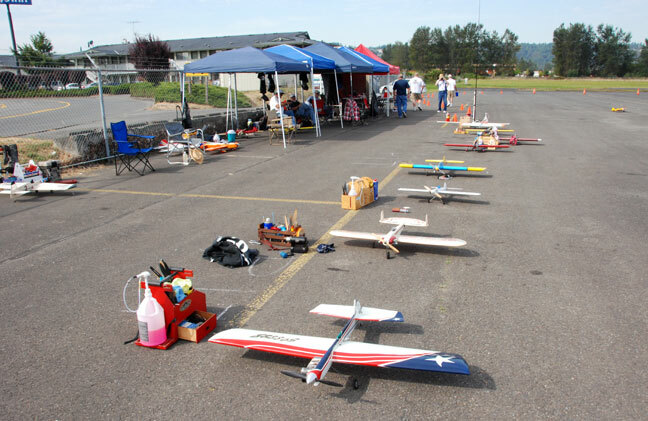 Lineup of Precision Aerobatics planes at the Raider Roundup on Sunday, with Alan Resinger's Crossfire in front. Flying Lines photo. 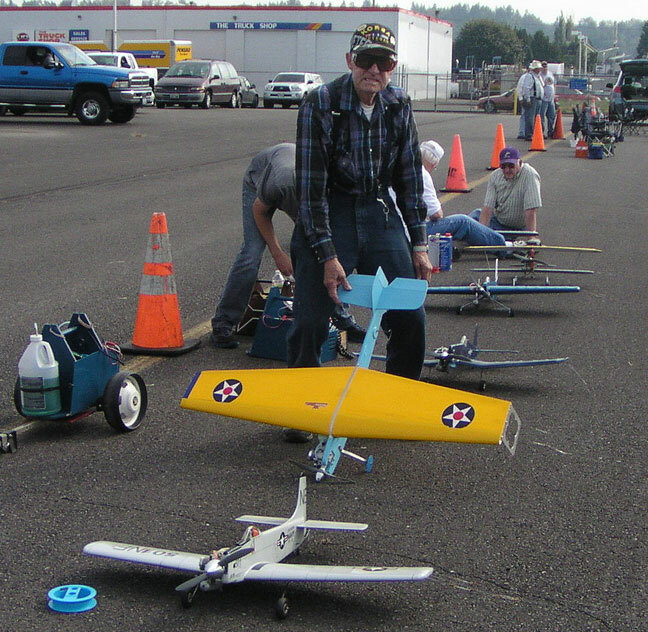 Sept. 8-9, 2012, Auburn Airport, Auburn, Wash. 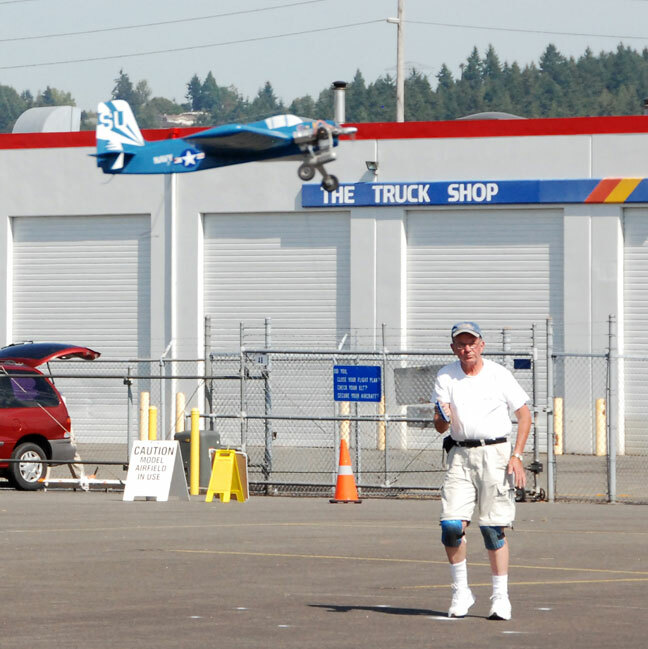 The Northwest Skyraiders' annual fall CL celebration occured in excellent flying weather at the fine regular CL stunt flying site that has been secured at the Auburn Airport. 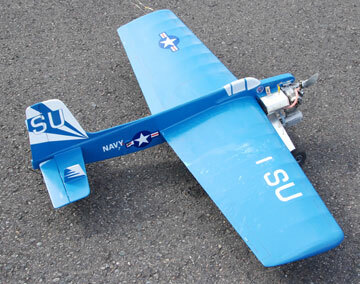 All the usual stunt event were on the playbill along with Northwest Sport .40 Navy Carrier. 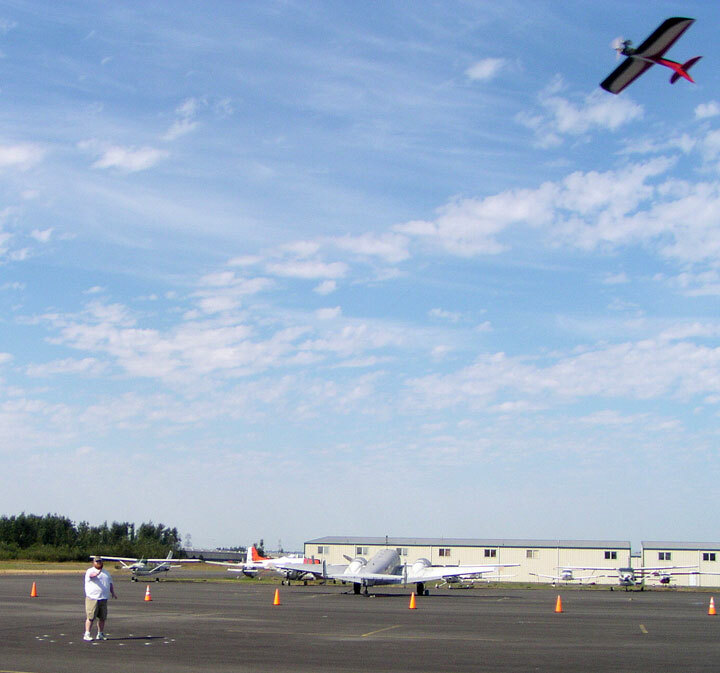 The Auburn flying site has some excellent features, not the least of which is a motel and lots of restaurants within walking distance. 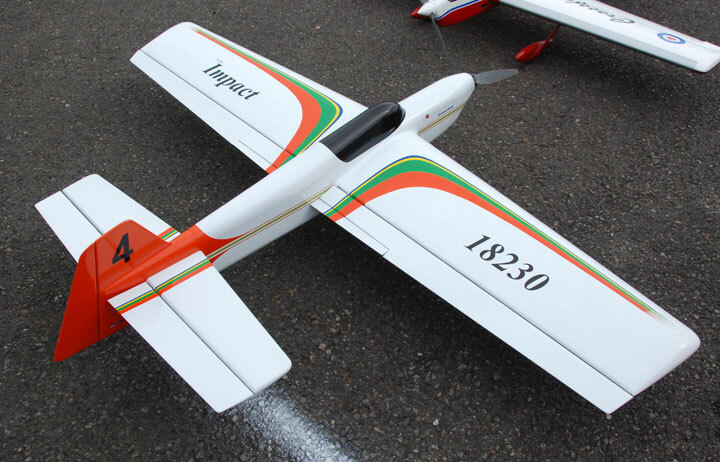 Flying practice began on Friday, with the Old-Time, Classic and Profilee stunt events and Carrier on Saturday and Precision Aerobatics on Sunday. On Saturday night, the fliers reconvened at Howard Rush's residence in Bellevue for a pleasant dinner wingding. 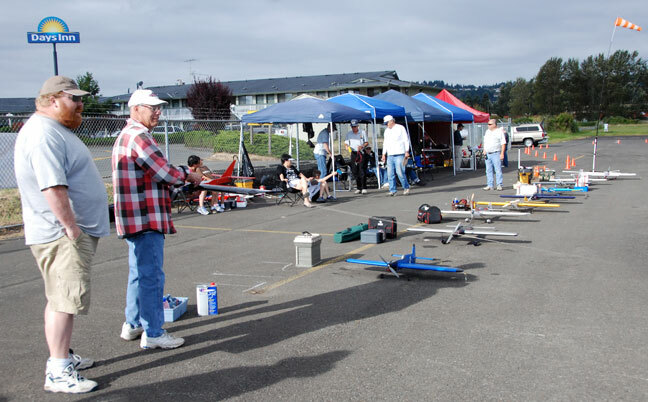 Congratulations to the Skyraiders for another successful event. 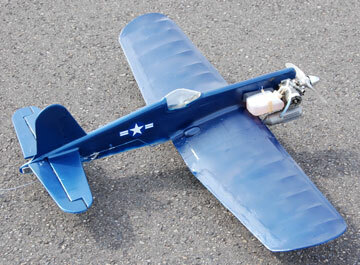 The contest director was Howard Rush, with a lot of hard work by Pete Ferguson, Steve Helmick, Dave Gardner and the other Skyraiders members. Keith Varley was given a $50 award for driving the longest distance to the contest in the most economical way. 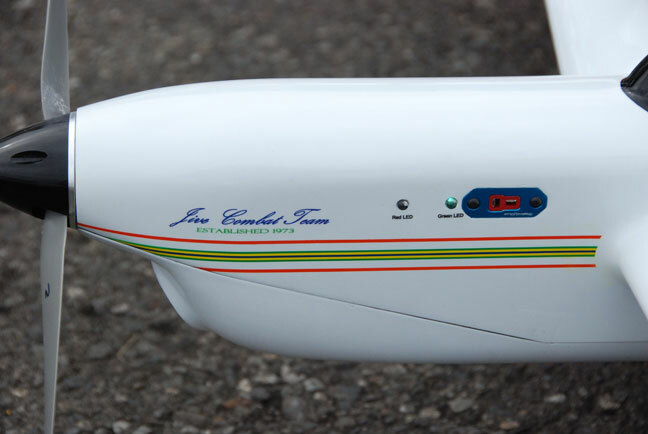 All contestants received nice plaques and a can of model airplane dope. The special Crock Pot award went to John Thompson for combined performance in the four events. The Crock pot is a cash award given annually by the family of the late R.F. 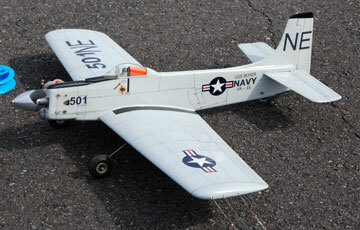 Stevenson, the longtime Skyraider for whom the contest is named, who liked to call himself, "an old crock." "Steve" believed that one should always have $100 in his pocket, and his AMA number was 5529 -- hence the award amount of $155.29. 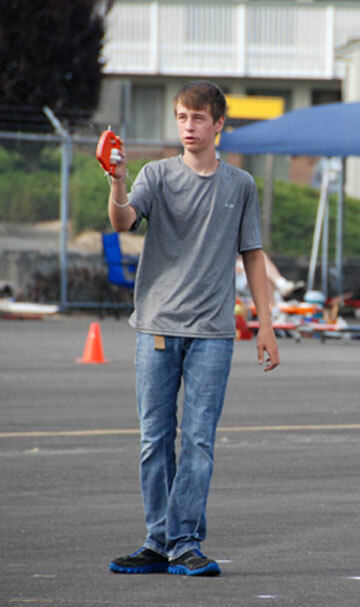 Colton Lutz at the handle in his first contest, participating in Beginner Precision Aerobatics. Flying Lines photo. 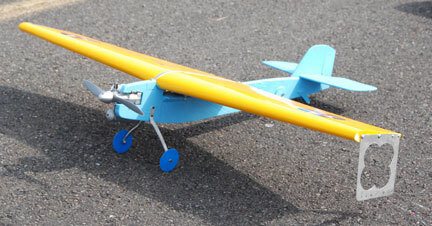 Mark Winz puts in a flight in Beginner Precision Aerobatics Rex Abbott photo. Navy Carrier planes lined up in front of the full-scale variety. Flying Lines photo. 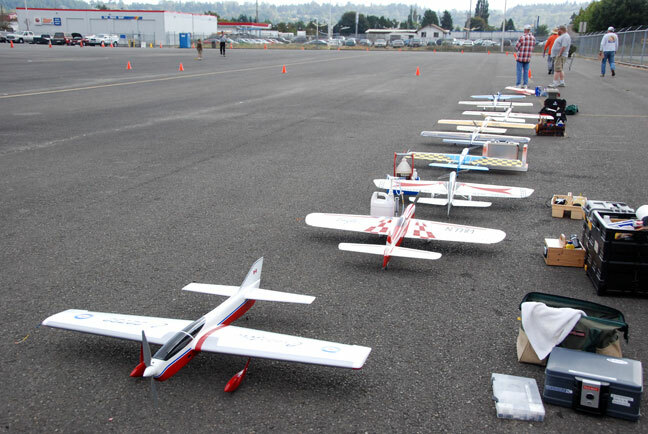 Profile and Classic Stunt planes lined up for Saturday competition with Bruce Hunt's Cardinal at the head of the line. Flying Lines photo. Left: Nathan Johnson flies his Navy Carrier plane. 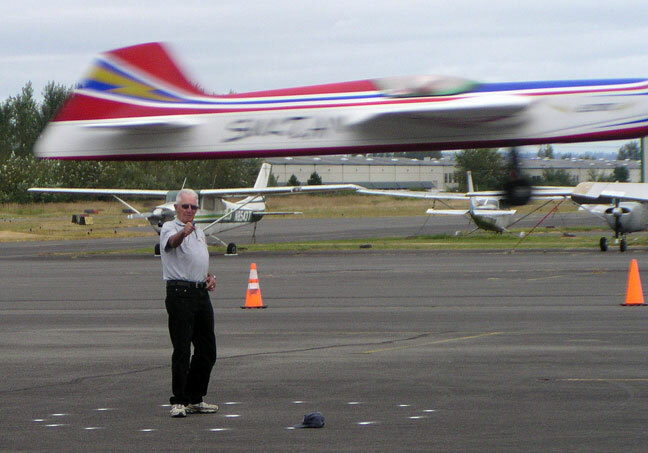 Right: Doug Oertli in slow flight. Flying Lines photos. 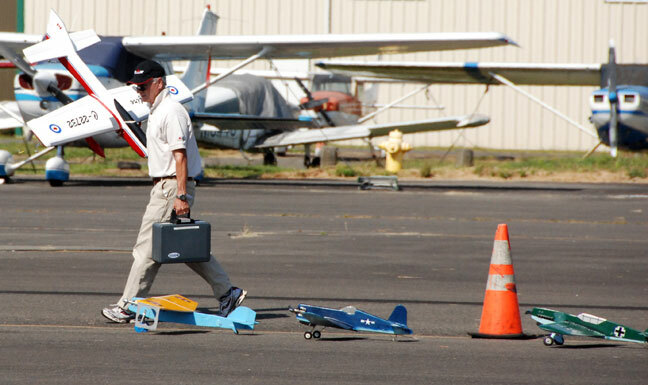 During Saturday flying, Tom Strom prepares to tug on Marc Winz's Flite Streak duing pull-testing, as Marc looks on. Flying Lines photo. Alan Resinger heads toward the stunt circle with his Crossfire, with Carrier pits in the foreground. Flying Lines photo. 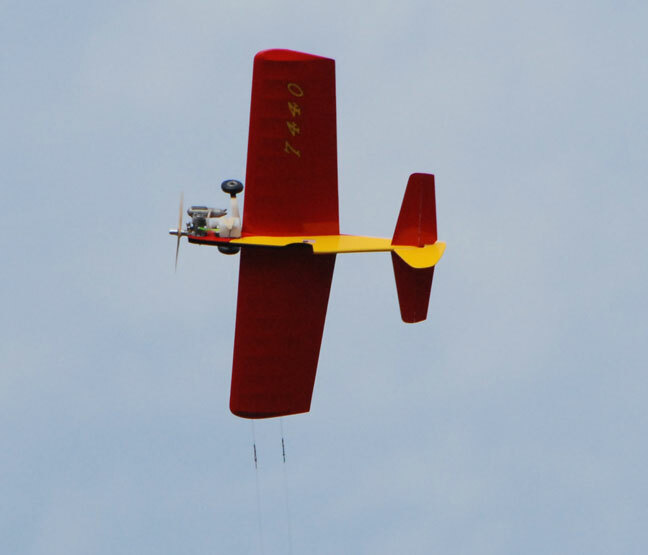 Tom Strom's Firecat makes the winning Old-Time Stunt flight. Flying Lines photo. 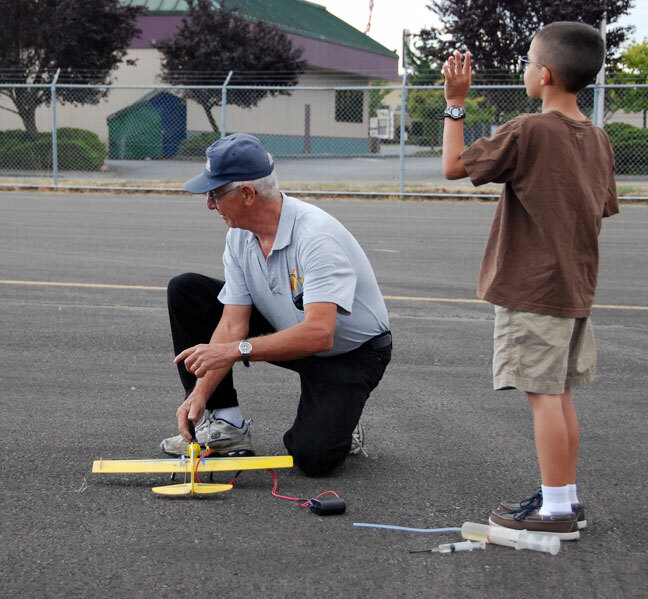 Colton Lutz signals the judges as grampa Mike Haverly gets ready to start the engine on Colton's plane. Flying Lines photo. Howard Rush's new Impact. Flying Lines photo. Nose detail of Rush's Impact. Flying Lines photo. The Impact flies! Flying Lines photo. 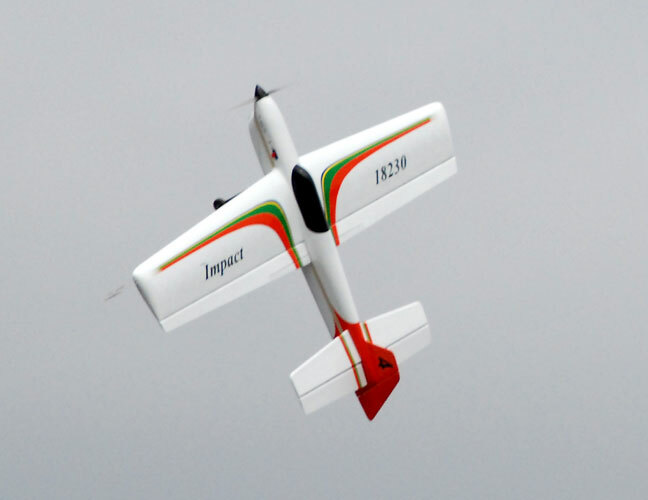 Howard Rush piloting the Impact. Rex Abbott photo. Lloyd Marohl in the Navy Carrier pits. Rex Abbott photo. 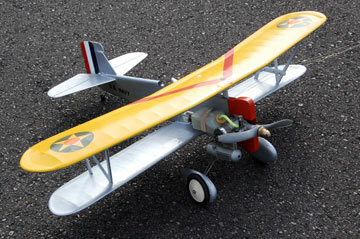 Dane Covey makes a flight in Classic Stunt. Rex Abbott photo. Mike Haverly at the handle of his electric Sultan. Rex Abbott photo.